Rusty Kennington is a technology executive with a career spanning more than 30 years and multiple industries. He has worked in Fortune 500, private, and startup organizations. He has been responsible for global technology teams spanning north and south America, Europe, and Asia. Rusty was recently recruited to be the CIO for Corsicana Mattress Company. His task is to build a strategic IT capability to fuel significant business growth and transformation. He comes with a track record of leveraging technology to drive game-changing business results, including growth in market share and margin. His new team is doing so already at Corsicana. 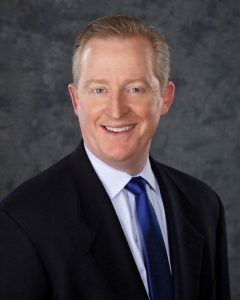 Previously, Rusty led the Americas IT team at Commercial Metals, was vice president of Enterprise IT for Brinker International, and held leadership positions at Ernst and Young and MCI. He also cofounded a successful software solution delivery company. He received his bachelor of science degree in electrical engineering from Carnegie Mellon University and completed the graduate finance program at Southern Methodist University. He currently serves as a member of the Society for Information Management DFW Chapter Board. Finally, he spent six years on the board of Big Brothers Big Sisters and is well into his second decade as a Big Brother. Rusty will be inducted into the Merv Tarde Values in Leadership Circle at the Dallas/Fort Worth Technology Prayer Breakfast on Oct. 5, 2018.